Going forward, the most successful chief financial officers will be the ones who integrate financial analytics software into their operations, giving them relevant data and freeing them up to concentrate on the big picture. According to CEB Global, CFOs are expected to serve as strategic business partners at 81 percent of midsized firms. 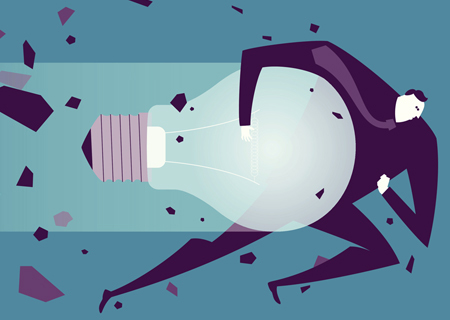 Yet many CFOs are so bogged down with fundamentals that they struggle to find the time to be the visionaries their companies need to continue to innovate. Correcting issues with budgeting, modeling and forecasting is a great place to start. Many companies still rely on Excel spreadsheets gathered from different departments. With so many spreadsheets spread throughout the firm, CFOs waste substantial time dealing with data that may not be accurate or consistent. Financial analytics software prevents this problem — saving time, money and energy — by automating the process and ensuring everyone is working in one central location with the same numbers and adequate oversight. It also gives businesses tremendous data analysis capabilities. B&W Quality Growers CFO Bruce Barquist told CFO magazine that, before adopting cloud-based software, it actually took longer to verify the accuracy of spreadsheet data than to actually analyze the business. Cloud computing not only sped up the data collection process, but it gave the company new financial reporting tools for budgets and other projections. Planning and budgeting are often riddled with conflict. Executives all make cases for why their departments need more funding. In a world with limited resources, sales, IT, marketing, accounting and every other department vie for funding for strategic initiatives and other needs. For a CFO tasked with helping an organization determine where funds are best spent, it's essential to be able to quickly measure the potential return on investment (ROI) of these ideas and offer recommendations. A CFO can manage this process quickly and objectively with predictive analytics, suggest Lana Klein and Colin Hare in CFO magazine. Predictive analytics can anticipate ROI and then use that information to evaluate and rank projects and create an optimized budget. Being able to quantitatively measure initiatives, including ROI and performance, takes the guesswork out of budgeting and can steer discussions away from conflict, they say. Market volatility is one of the biggest hurdles in maintaining forecast accuracy. To thrive in today's climate, a company must be able to respond quickly to changing conditions. This entails having all the relevant information and the ability to parse it into relevant insights. Budgets, forecasts and models must be updated continuously to represent current market conditions. This way, they are always immediately available when needed. Unfortunately, this doesn't always happen. The Aberdeen Group reports that 30 percent of companies feel that "too many of their business decisions are based on inaccurate or incomplete data." A CFO can spend all their time certifying forecasts are accurate and trying to predict future performance and still fall short. If data is brought in too late or if fellow executives think it's wrong, it won't be valued by decision makers, notes CEB Global. Some will be tempted to just ignore it. Most people suffer from confirmation bias, a cognitive phenomenon where people seek out information that reinforces their pre-existing points of view. Others ignore outside data or misinterpret it. In fact, just 25 percent of decision-makers properly use analysis, CEB finds. Using financial analytics software, CFOs can guarantee executives see and share real-time reports and analysis, giving them the confidence to actually use the analysis as intended. These insights often come on a dashboard where data is presented in simple graphics for immediate judgment. Less time is spent arguing facts and more time is dedicated to developing strategies. Instead of simply crunching numbers, CFOs can be strategic partners by using financial analytics software. Start your financial performance management journey today, and deliver deeper insights that help your organization make faster, better business decisions. Visit the IBM Financial Performance Management page, and sign up for a free trial today.